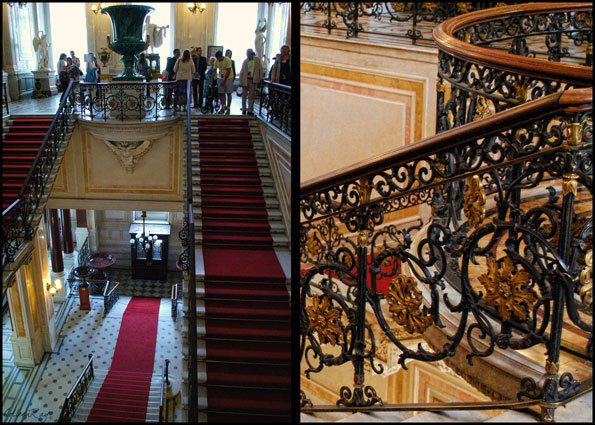 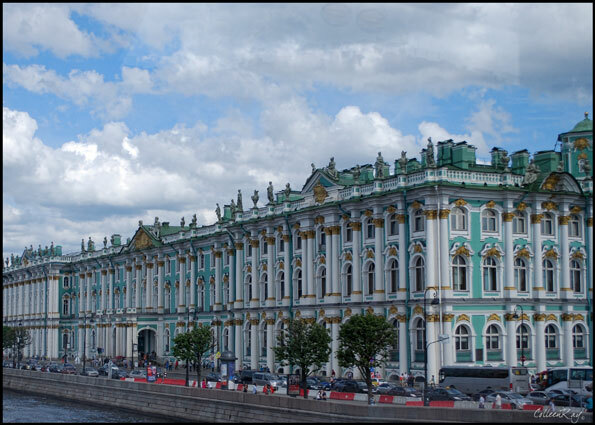 is one of five palaces that make up the Hermitage Museum. 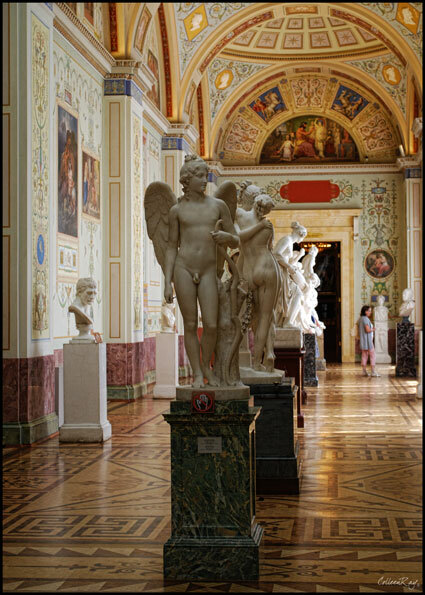 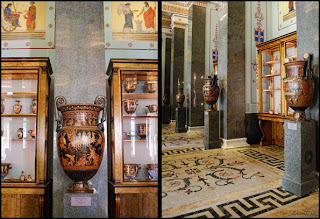 Created as a private court museum by Catherine the Great in 1764, the Hermitage Museum has grown to contain over three million objects. 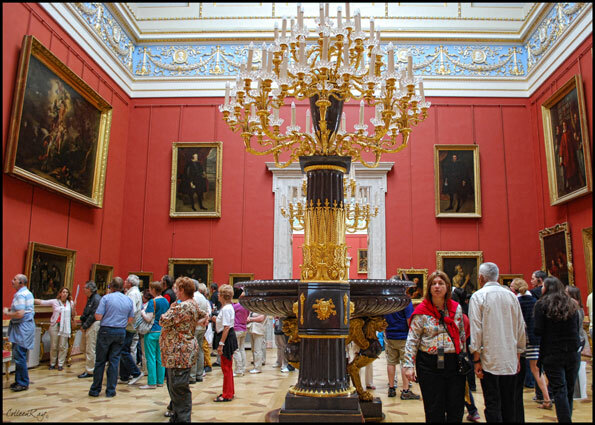 The entire museum encompasses just under two million square feet and contains the largest collection of paintings in the world. 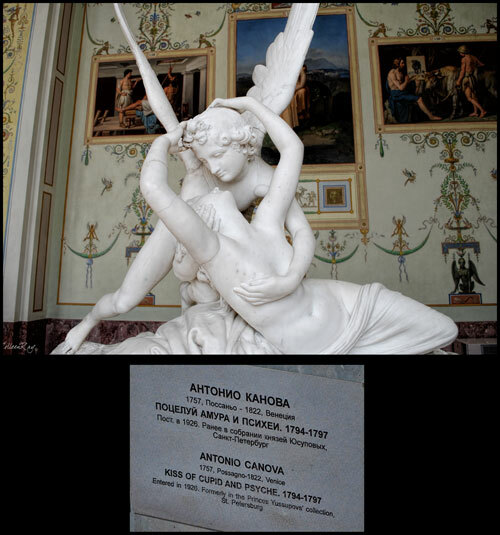 There are works by da Vinci and Rembrandt, there are Dutch and Flemish collections, Titians and Rubens. 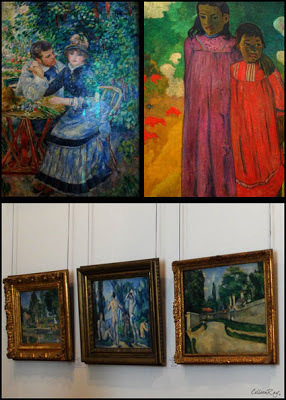 There is a French Impressionist collection with works by Monet, Renoir, Degas, Van Gogh and Matisse, and the largest collection of Spanish art outside of Madrid's Prado Museum. There are rooms devoted to ancient Greek pottery and Egyptian mummies, a gold room and an armory collection, galleries of sculpture. There is so much to see that it is impossible to take it all in. 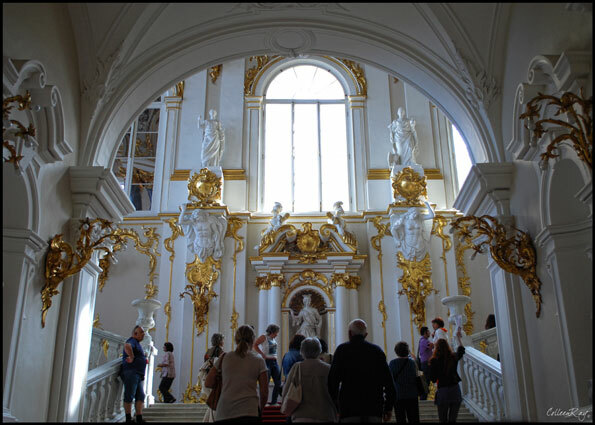 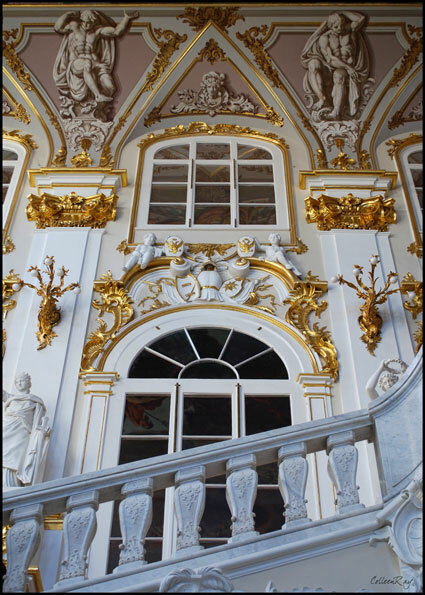 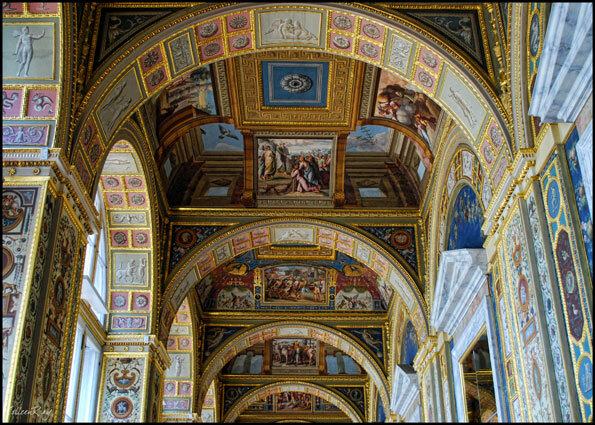 Then, there is the Winter Palace itself, one of the five palaces that comprise the Hermitage, it is its own work of art. 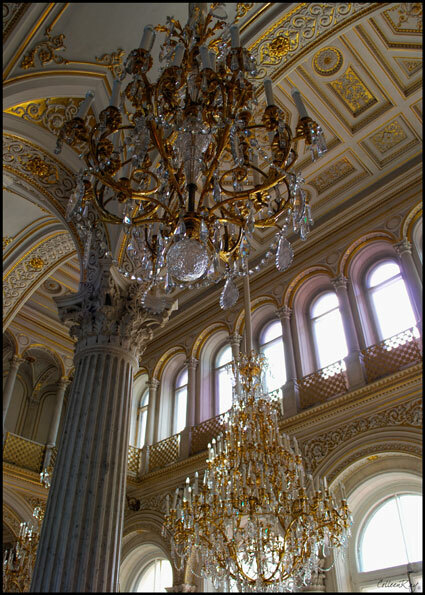 with exquisite chandeliers hanging overhead. 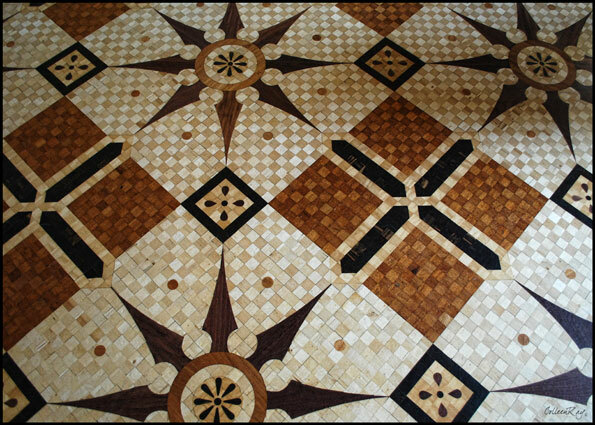 and the floors are intricately designed parquet. 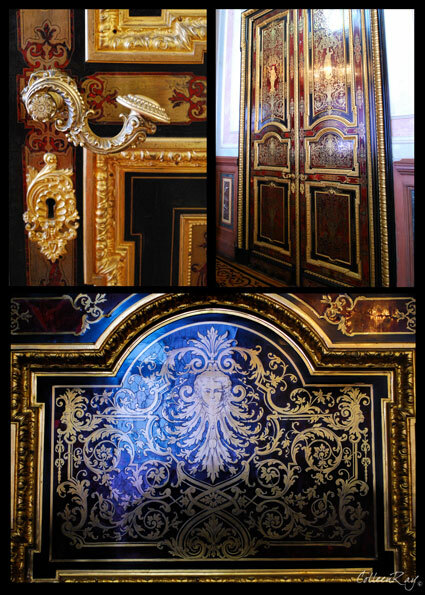 simple compared to the door and hardware design. 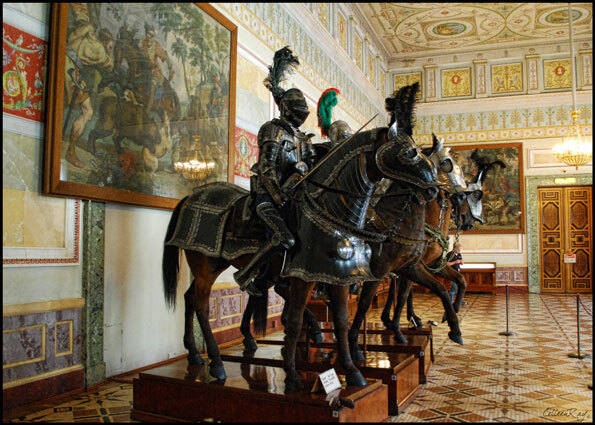 such as the armory collection with its taxidermy horses. 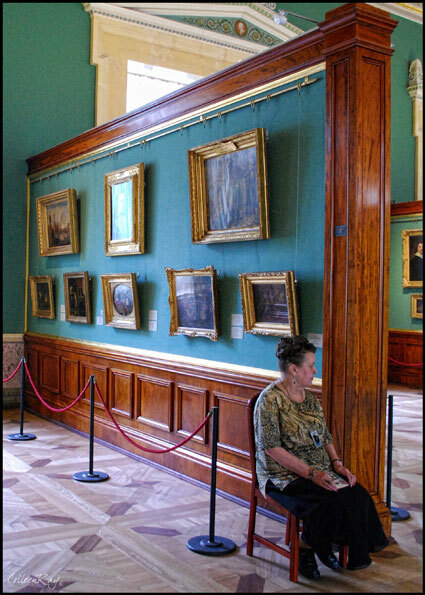 on rooms such as this one, filled with the masterpieces of Rembrandt.